The much-awaited Goods and Services Tax (GST) will be launched today at a grand midnight function in the historic Central Hall of Parliament; it’s biggest tax reform in India since Independence will change the country’s taxation system. GST is deemed to benefit both the traders and consumers while providing resilience to government revenues due to increased tax compliance, with the implementation of this bill GDP is estimated to grow by 1.5-2 percent. From July 1, dealers and buyers will no longer be needed to pay a chain of central and state govt taxes as all of them come under into the one tax system, although there are GST, SGST, and IGST. In all, the GST Council has categorized things into five slabs — 0 per cent, 3 per cent, 5 per cent, 18 per cent and 28 per cent. 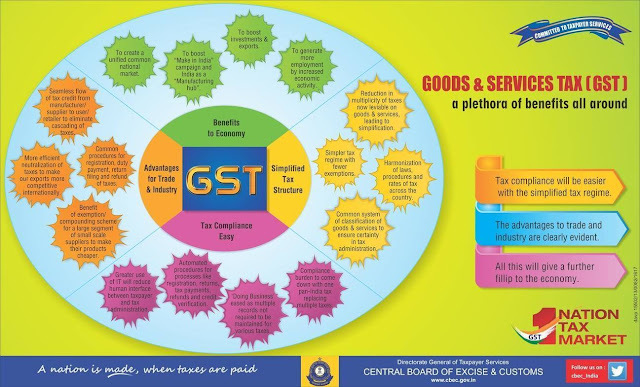 There is a lot of confusions among traders and consumers that GST may burden them initially, but, in the long run, it will benefit both by cutting down red tape — there will be no inspector raj, harassment by taxmen or check posts at borders. It will ensure transparency, reduce inflation, create a level-playing field, increase tax compliance and help achieve higher economic growth. It is anticipated to steadily reshape India’s $2 trillion economy, making the world’s fastest-growing major economy an easier place to do business. The GST launch function will be attended by President Pranab Mukherjee, Prime Minister Narendra Modi, Finance Minister Arun Jaitley and a host of senior ministers and bureaucrats, among others. The launch function is likely to begin at 11 pm on June 30 and will be on until half past midnight.